I started sewing 5 years ago, over the years my hobby turned into a passion! How did you add your personal style to the skirt? I chose the version without piping, but with pockets and lining. The fabric I used is a virgin wool by Furore, which I bought at Galleryfabrics. 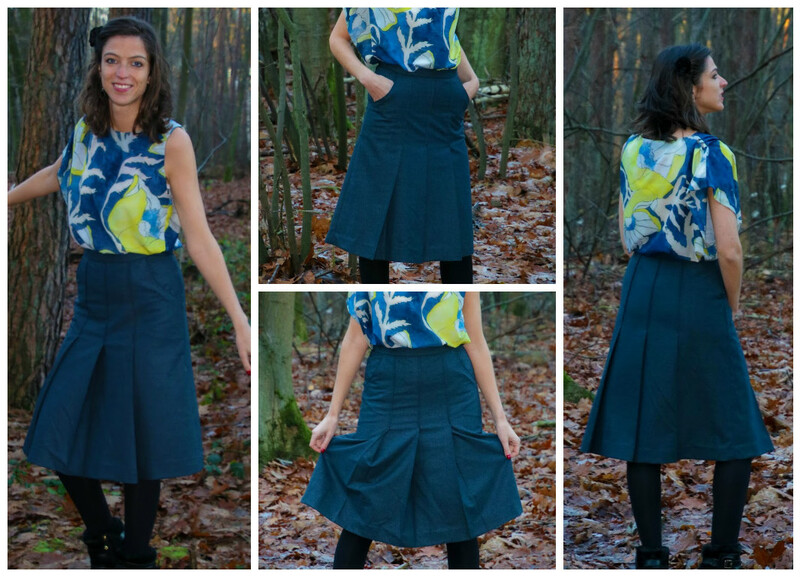 I was really excited to be selected as one of the pattern testers for the Frida skirt. The fit was perfect and I had no remarks whatsoever. The instructions were clearly written and included helpful photo’s. The skirts sews up rather fast. Make sure to stitch the topstitching of the pleats equally and to also end evenly. Making it a beautiful eye catcher.